Today is a very special day! 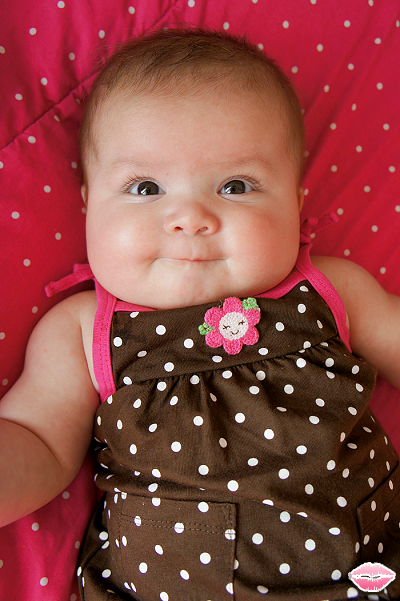 My beautiful daughter has turned 6 months! Wow time is going by so fast! She is almost going to be 1! I remember it like it was just yesterday I was on the couch with my big belly thinking about rescheduling my routine checkup for another day. Little did I know that when I went to the hospital I would come back with my baby girl a whole month early. 17 hours, 3 epidurals and 1 C-Section later my little Zoe was born at a tiny 4lbs . I never understood when parents said that once you have a child of your own you will know what true love is. I would give anything for Zoe. 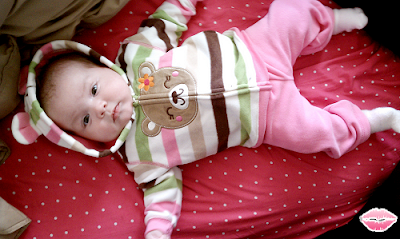 She is my reason for living and what I work hard for every day. Momma loves you so much Zoe!!!! Mark Mist Opportunity Multi-Tasking Refresher Kiwi / Grapefruit - Meet your new best friend. This all around skin refresher and revitalizer does it all - a cool spritz instantly purifies, replenishes moisture and exhilarates the senses. A blend of kiwi, grapefruit, lemongrass and bamboo extracts delivers a multi-mix of stimulating, purifying and antioxidant benefits. It's the quick fix of your dreams. Now that's fresh! So I have been on the search for the perfect refresher. I have been an avid user of MAC Cosmetics Fix + but I decided to try a different brand out. Don't get my wrong, I absolutely adore my Fix + but for the $19.00 price tag I was open to explore other options. I was browsing around the meet mark website and noticed that they offered a refresher for half the price of my fix +. The reviews seemed pretty decent so I decided to give it a try. When I first tried it the first thing that I noticed was the smell. It did not smell really bad it just kind of reminded me of bubbles. I have a full time job and I'm out the door by 9 a.m and get home around 6 p.m so I need all day coverage. It did set my makeup well and gave me the dewey look. I noticed around 4 hours of usage that whole look goes away. It does refresh my face when I get hot so that is also a plus. All in all it's an ok refresher. I don't regret buying it but I feel as though my heart belongs to MAC Cosmetics Fix + to help set my makeup, provide a sweet scent and refresh my face. 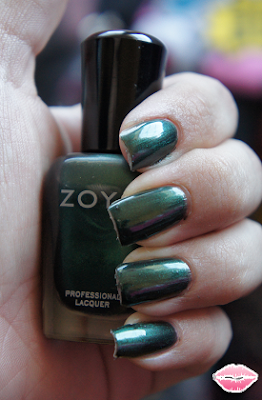 I know I am a bit late but I forgot I had these green polishes from Zoya! 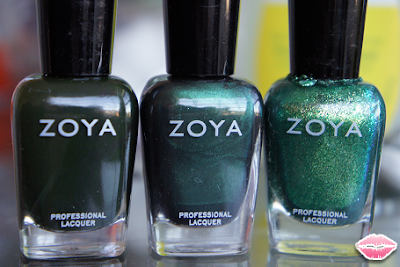 I got these on the Get Your Green On Promo that they did which was Get all three nail polish for $5.00! How could I not buy them? I love them all but if I had to chose I would pick Envy as my favorite! Love love love this color!! I can not believe that I didn't already own this color. 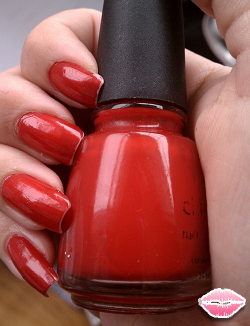 It is called Flyin' High by China Glaze. It is a deep turquoise color and it stands out without being overboard! 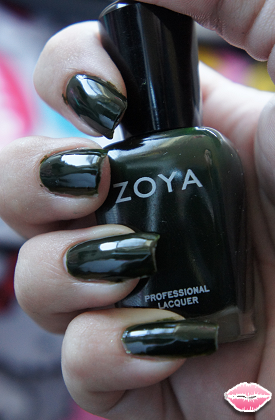 Can I mention how much I love Zoya nail polish as well? They always have amazing promotions and I just did the BoGo promo and I can't wait to get my polish in the mail. One of the recent promo that they had was for their Intimate Collection for International Women's Day. I got the whole collection for $25.00 with free shipping! The usual price is $8 a bottle! Score! In other non related news, I got a new camera!! I received an amazing accommodation through work & I got the Sony Nex3! I can start taking amazing pictures of Zoe. Hot mess. Ok I know I have chipped nails but this is after a long week of usage and tough mommy duties! Ahh so horrible I know but when I first applied Salsa by China Glaze it was really gorgeous and bold. 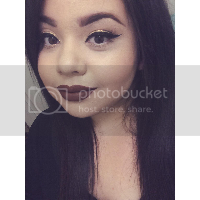 I wore it to a Baptism I went to and I also paired it with my all time favorite lipstick, Ruby Woo from MAC. I decided not to look so flashy since I was doing a bold lip and nail and decided to pair it with a soft eye and an all black outfit. Of course I have no good shots of the complete outfit because it always get's a little hectic dressing a baby before a party. Zoe looked so adorable! 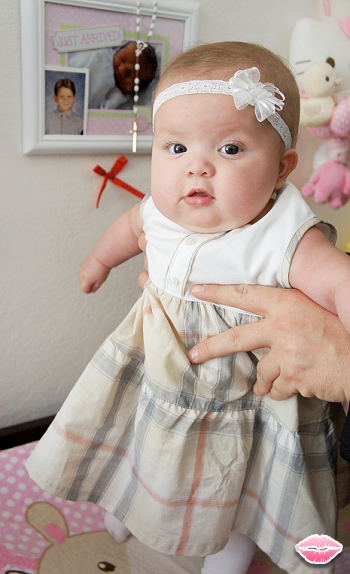 She wore this super cute Burberry dress from Bloomingdales which she later had an accident on but that's what babies do right? She is going to be 6 months at the end of this month! Where has the time gone? 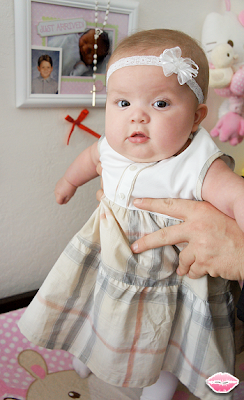 Zoe in her adorable dress ready to party! Quickie post. I was getting bored with my brown nails so I decided to try out this gray color that has just been sitting in my nail polish drawer. I really love Sally Hansen's Xtreme Wear because the color payoff is awesome and they actually last a long time on my hardworking nails. I paired Wet Cement with another Sally Hansen favorite of mine, Disco Ball glitter top coat!! 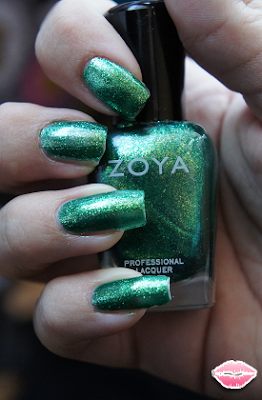 I also featured Disco Ball on my other nail of the day using OPI's Sweet Memories. It does look like I have disco ball fingers. Super excited! My Hello Kitty Overnight Bag came in the mail the other day! I love it so much. I can use it for so many things. It is big enough to work as a baby bag/purse for when I am out with Zoe. It's perfect for mini trips too! There are so many compartments to store anything. It is big and the material is perfect for any spills! My little beauty queen turned 5 months a few days ago! I love her so much and feel so blessed to have her in my life! My Mark items finally came in the mail! I am so excited to use them! I have been using the That's Deep Purifying Gel Cleanser and I absolutely love it! It makes my face feeling so fresh but doesn't make it feel dry and flaky afterward! I decided to try out some more products from Mark. I purchased the Mist Opportunity Refresher and I am hoping that it is just like the Fix + from MAC. 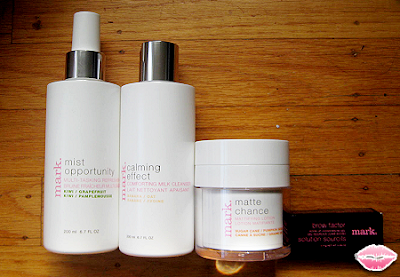 I also got the Calming Effect Comforting Milk Cleanser & Matte Chance Lotion & Brow Gel. I will be doing full reviews on them as I try them out!